get moreinformation 513-985-4010call or text personal tourschedule it! what will this home cost? Create an account and save a few locations to make getting directions easy! Absolutely gorgeous and in pristine condition! 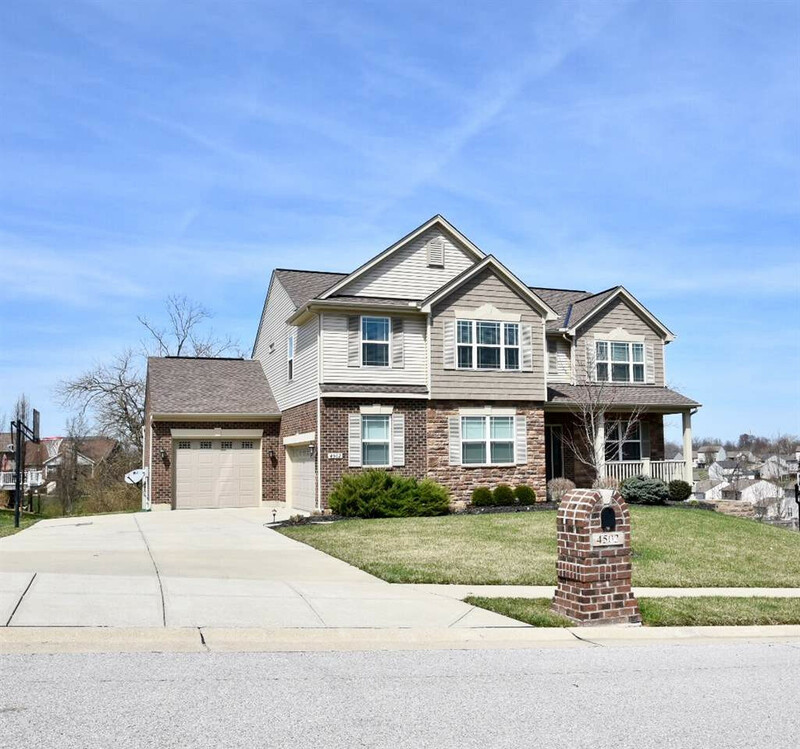 4 Beds, 3 1/2 Baths, 3 Car oversized Garage, full size Laundry Room on second floor, Loft Area with built in planning desk, Granite Countertops, S/S Appliances, Hardwood Floors, Formal Dining Room, beautiful Custom Deck, Lower Level has Walkout, Daylight Windows and rough-in for the 5th Bath. This home is in MOVE IN CONDITION! Serving as the county seat of Boone County, the village of Burlington has the charm of the old and the excitement of the new. There are 11,000 area residents. While Burlington has the gentleman-farmer atmosphere in its quiet town center, building and development are booming down Rt. 18 to the I-75 interchange with shopping, entertainment and the success of the Mall Road Corridor and Houston Road just minutes away. Homes in many price ranges are available ranging from old to new. Surrounded by tranquility yet in the heart of Boone County growth, Burlington offers something for everyone. Burlington is 10 minutes from I-75 and only 20 minutes from downtown Cincinnati. St. Elizabeth South in Edgewood is approximately 10 miles away. 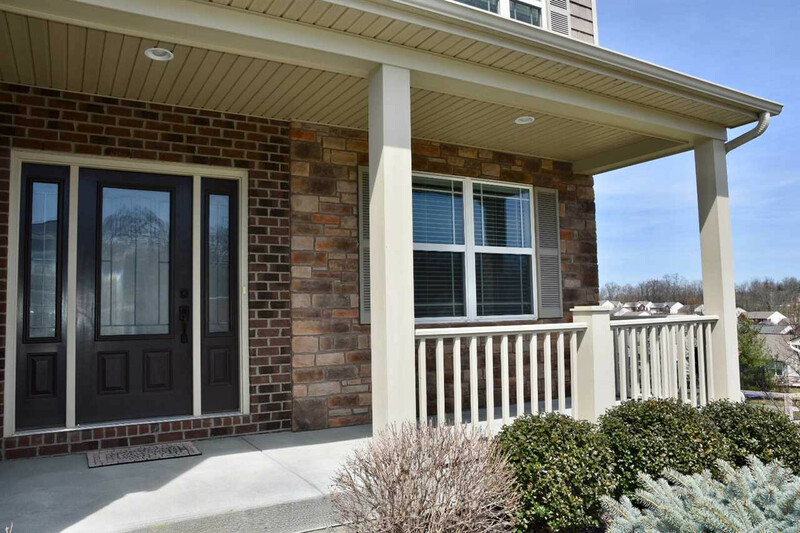 St. Elizabeth West in Florence at Turfway near Burlington Pike, and Gateway Rehabilitation Hospital are both within 5 miles of the center of Burlington. Florence Mall features 130 speciality stores. Centrally located in Florence, close to all Boone County Residents. Crestview Hills Town Center at I-275 and Dixie Highway is the newly opened Lifestyle Center Dillards Department store anchors a wide assortment of speciality stores and restaurants offering clothing, cosmetics, home furnishings and sporting equipment. This shopping center is close to St. Elizabeth Medical Center and Thomas More College in neighboring Kenton County. Boone County naturally attracts horse lovers, but is also popular with those looking for sports such as swimming, soccer, baseball, tennis, and pee wee football. The arts are represented with dance and art classes available locally and in neighboring Cincinnati. Most any activity is within reach for Boone County residents. Boone County is home to the "Florence Family Aquatic Center". This four-acre facility is located on the campus of the Florence Government Center in the heart of Boone County. The Aquatic Center features a lazy river, 25-meter competition pool, two spray-ground areas, spiral and speed slides and a zero-depth pool. The "Florence/Boone County Skate Park" with 22,000 square feet of concrete is a park for skateboarders, bikers, rollerblades and in-line skaters of course. This facility is designed for the novice as well as the experts. "Florence Freedom", a Frontier League Baseball team was the 2005 Frontier League Organization of the Year. Florence Freedom plays at Champion Field in the heart of Boone County, and offers a hometown, professional baseball experience! An outing for young and old alike! "R.C. Durr YMCA"- This state of the art YMCA is Centrally located in Boone County on Route 18. The YMCA features a heated indoor pool and an outdoor pool, both with 25 lanes. A fitness center with cardio, strength training and free weights, the YMCA has personal fitness programs, a full gymnasium other programs for members. "Boone Links", a Boone County public golf course was named “Best Bang for the Buck” by Golf Digest. This 27-hole facility is open year round, weather permitting. "Lassing Point" is Kentucky’s #1 rated Public Golf Course per the 2003 Golf Week, and is an 18-hole course with a driving range and a short-game center on the premises. "Dinsmore Homestead" is a unique historical site where visitors can learn what rural life was like in the 19th and early 20th centuries. Home tours and seasonal events are a highlight to Boone County history. Nature enthusiasts enjoy the hiking trails developed in cooperation with the Kentucky Nature Conservancy and the Boone County Parks Program. Burlington is home to many public parks! The "England-Idlewild Park and and Dog Park" is 20- acres and has three stocked fishing ponds. There are baseball fields, basketball courts, a 24-hole disc golf course, mountain bike trails, hiking trails with fitness stations, a playground, soccer field, three picnic shelters as well as a dedicated dog park. "Boone Cliffs" is 74 acres with green forest and 20 to 40-foot cliff formations. There are unpaved walking trails making this a challenging hiking venue. "Boone Woods Park" is home to the Creekside Stage that features movies and concerts during the summer. This 50-acre park has three shelters, an 18-hole disc golf course, basket ball and bocce ball courts, horeshoe pits, two playgrounds, a soccer field as well as tennis and volleyball courts. "Camp Ernst Lake" features a boat launch, fishing from their stocked lake, small shelters and a practice soccer field. The "Conservancy Park Belleview" has 45 acres with fishing, a shelter and an unpaved walking trail. "Dinsmore Woods" is located next to the historic Dinsmore Homestead. This 107-acre park has an unpaved walking trail as well as wildflower fields. "Gunpowder Creek Nature Park" has 122 acres. There is one shelter, a playground as well as unpaved walking trails. "Middle Creek Park" features horse trails, picnic tables, unpaved walking trails and wildflowers in its 230 acres. "Pete’s Park" is a smaller park with a swing and picnic tables." For antique enthusiasts, the "Burlington Antique" show takes place at the Boone County Fairgrounds from April through October and is said to be the Midwest’s Premier Antique and Vintage Collectibles show. This listing courtesy of, Family First R E Services . 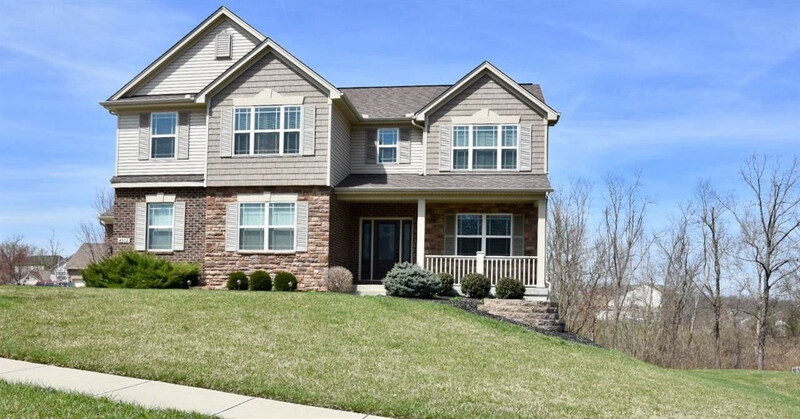 Copyright © 2019 Northern Kentucky Multiple Listing Service, Inc. / All Information is believed accurate, but is NOT guaranteed. The data relating to real estate for sale on this website comes in part from the Broker Reciprocity programs of the Northern Kentucky Multiple Listing Service, Inc.Those listings held by brokerage firms other than Sibcy Cline, Inc. are marked with the Broker Reciprocity logo and house icon. The properties displayed may not be all of the properties available through Broker Reciprocity. What would you like to know about this property? *The rates & payments shown are illustrative only. Contact a loan officer for actual rate/payment quotes. *Additionally, sellers have access to real-time marketing activity data for their listings. ©2019 Sibcy Cline, Inc. All rights reserved. All Information is believed accurate, but is NOT guaranteed. Serving Greater Cincinnati, Greater Dayton, Northern Kentucky and Southeast Indiana.